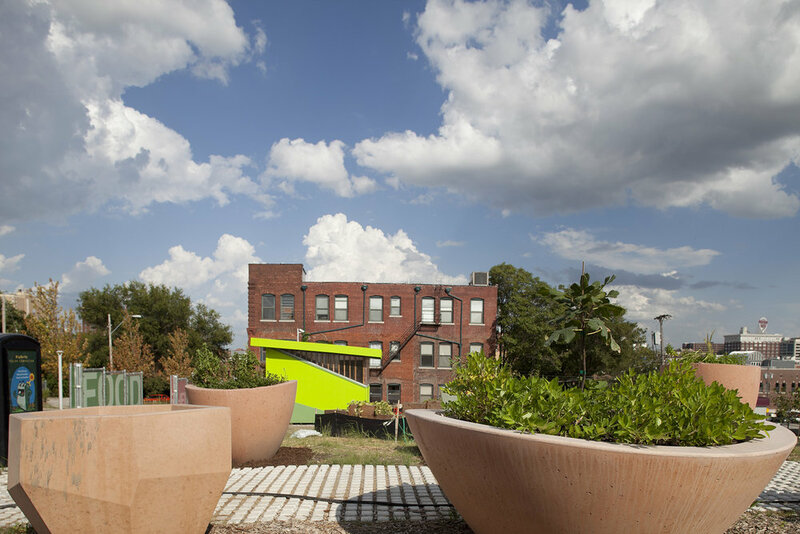 This urban garden in the Crossroads Arts District is a demonstrates environmentally sustainable solutions to urban infill and streetscapes. 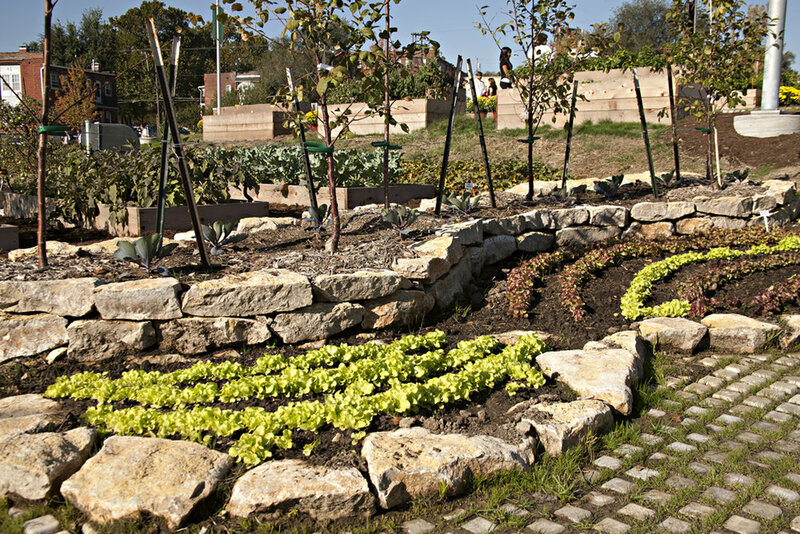 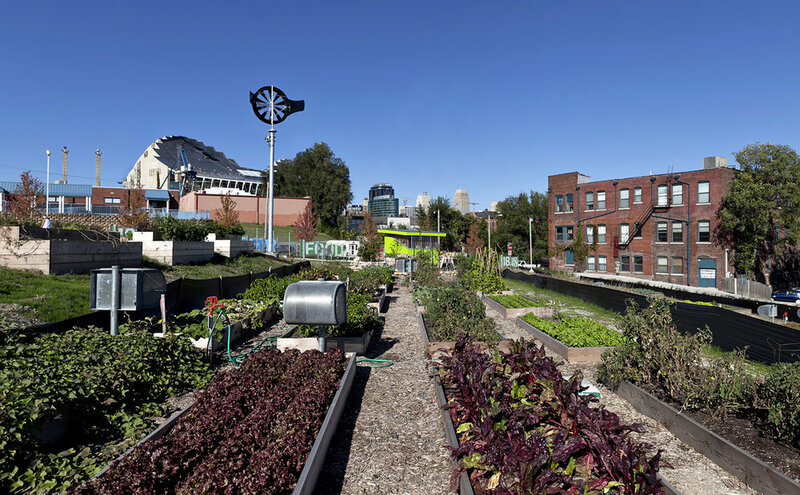 Featuring stormwater collection and reuse strategies, a community garden, alternative energy applications, and “green” building approaches, the property illustrates best practices in a healthy urban ecosystem as a netzero site. 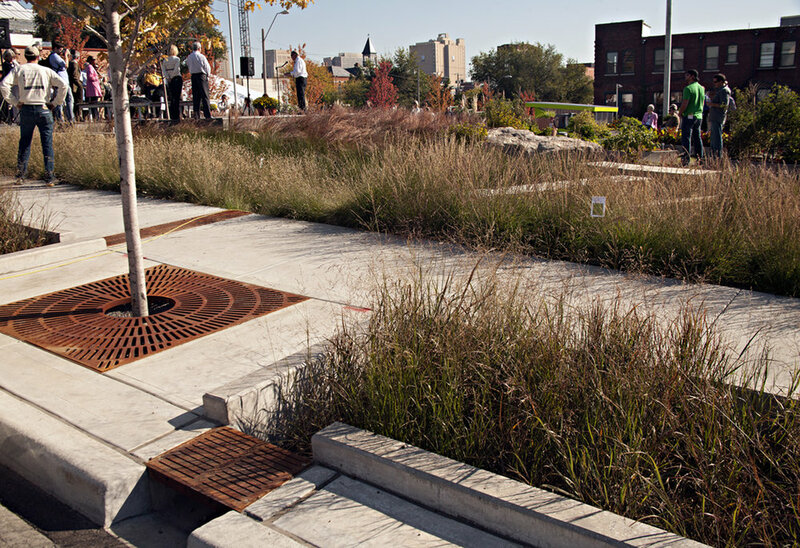 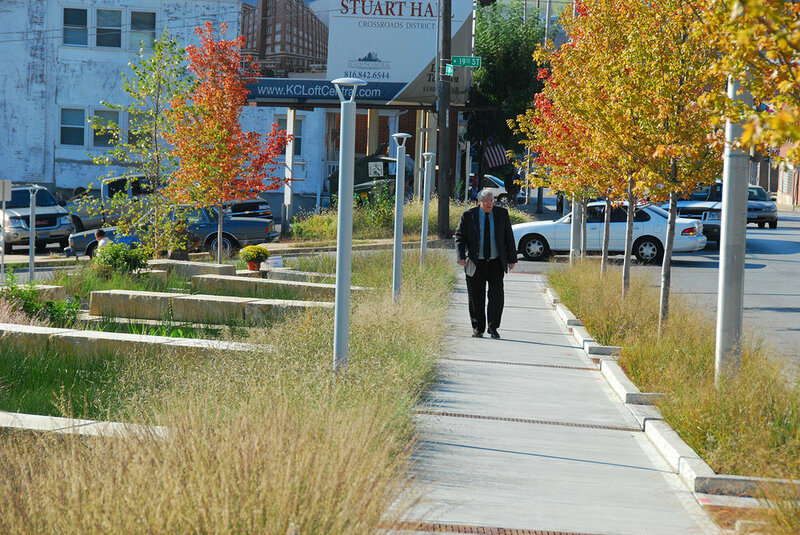 Vireo completed the design of the site, streetscape, stormwater best management practices, and irrigation system.